Owning a restaurant is as crazy for Nicky Landry as an alcoholic owning a bar. But despite having to cram herself into a body shaper to look decent in a dress, life is pretty good. She's throwing the party of the year for her graduating doctor boyfriend, Rob, who she's sure is going to propose - until his new girlfriend shows up at the party. After ordering Rob to get his stuff out of her house and get lost, Nicky finds him faceup with her expensive Chroma knife sticking right out of his cheating heart. As the prime suspect, Nicky is in hot water. And no matter how hard she tries to clear her name, her problems only mount. She's convinced she can solve the murder - if only she can figure out the identity of the skinny person seen walking away with Rob after the party. 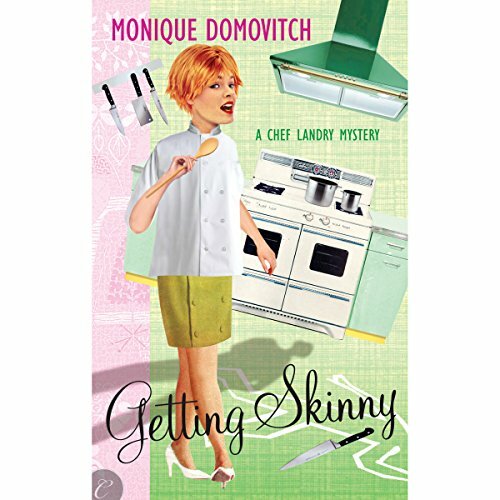 Getting "Skinny" won't be easy for Nicky, but she never imagined it would be life or death…. 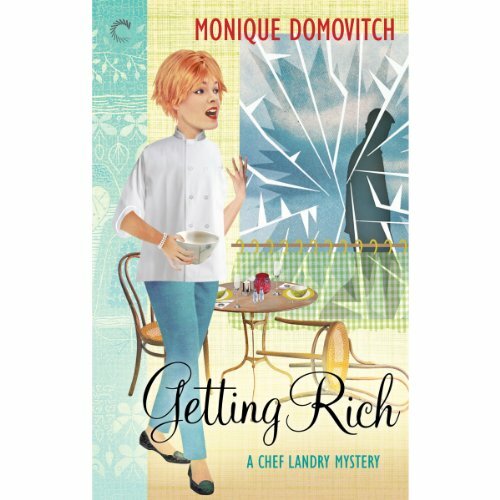 ©2013 Monique Domovitch (P)2013 Audible, Inc. Owning a restaurant is as crazy for Nicky Landry as an alcoholic owning a bar. But despite having to cram herself into a body shaper to look decent in a dress, life is pretty good. She's throwing the party of the year for her graduating doctor boyfriend, Rob, who she's sure is going to propose - until his new girlfriend shows up at the party. After ordering Rob to get his stuff out of her house and get lost, Nicky finds him faceup with her expensive Chroma knife sticking right out of his cheating heart. As the prime suspect, Nicky is in hot water. Chef Nicky Landry is more than co-owner of Skinny's; she's the low-cal eatery's #1 success story. (According to the billboards, anyway. She's gained most of the weight back...shh!) Now Nicky and her business partner, Toni, will be on national TV. They'll be rich. And famous! Which is great, though Nicky would really prefer if people didn't recognize her when she hits the fast-food shack. Then one night a deranged woman threatens to kill her.